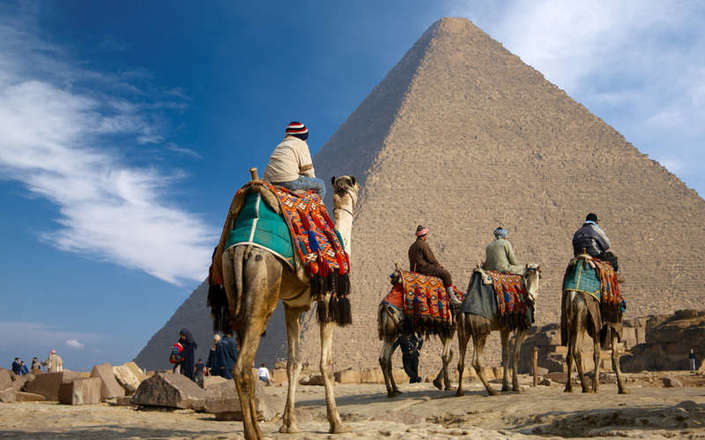 The great pyramids of Giza were constructed over 35 centuries ago, and now loom high over Cairo’s western outskirts. 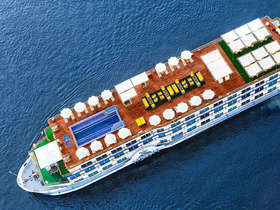 They are one of the most instantly recognizable monuments in the world and never cease to amaze the vistor. 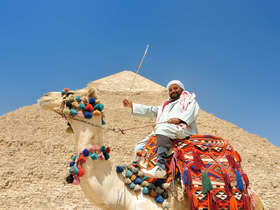 A short camel ride will enable you to appreciate the pyramids from a desert setting. 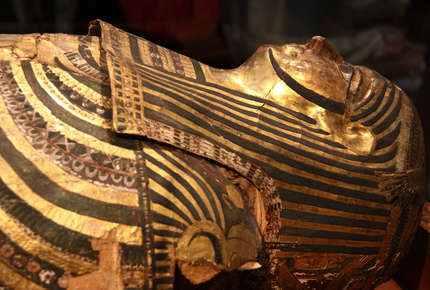 Kufu’s great pyramid was until the 19th century the tallest manmade structure ever built. 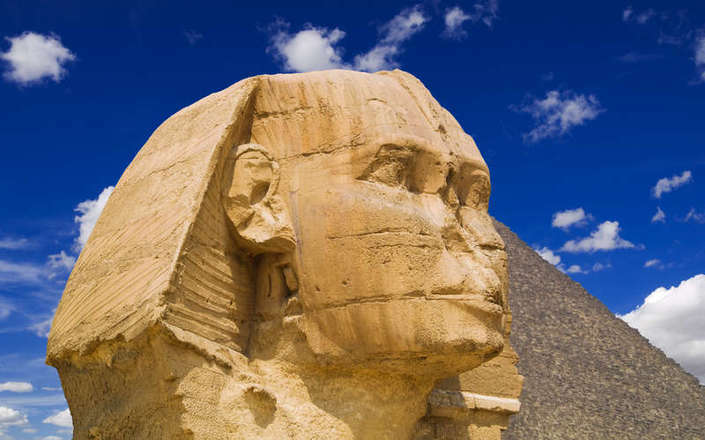 Nearby, is the massive enigmatic Sphinx, a half human, half lion statue known in Arabic as Abu al-Hol (father of terror) which is thought to portray the image of the Pharaoh Kafre. 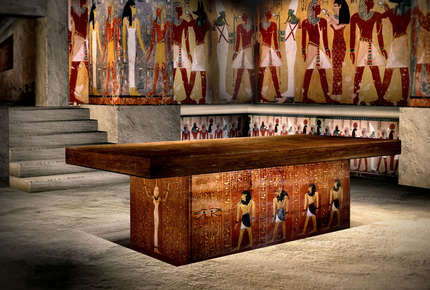 While in Giza, a visit to the Solar Boat Museum is highly recommended. 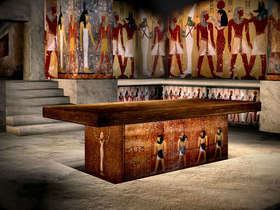 Discovered intact within a pit beside the Great Pyramid in 1954 the function of the Solar Boat is debated. 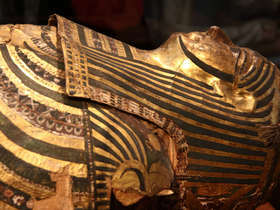 One theory is that it may been the vessel intended to take the soul of the pharaoh to join his father in the heavens. 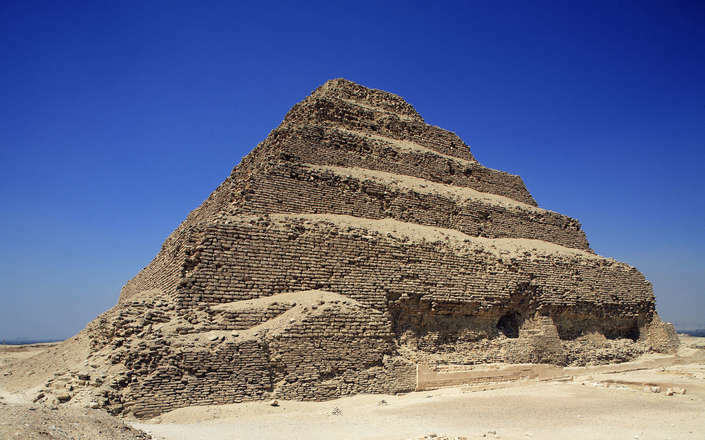 On the edge of the desert, the Stepped Pyramid of Djoser at Saqqara pre-dates the Giza pyramids and marks a milestone in the history of pyramid construction. 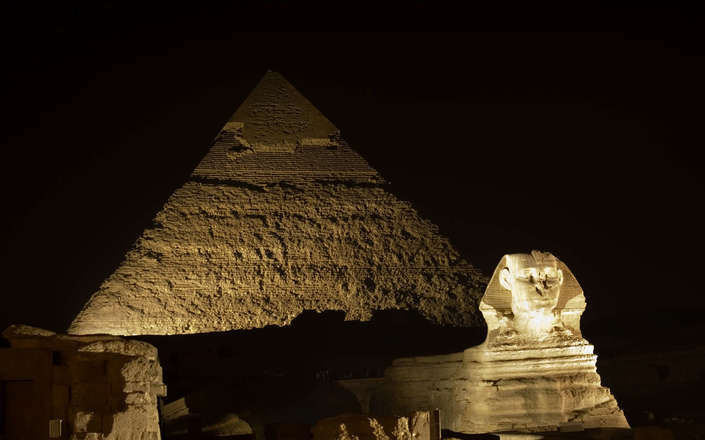 Consisting of 6 enormous steps, the pyramid originally rose to a height of over 62 metres and was clad in polished limestone. 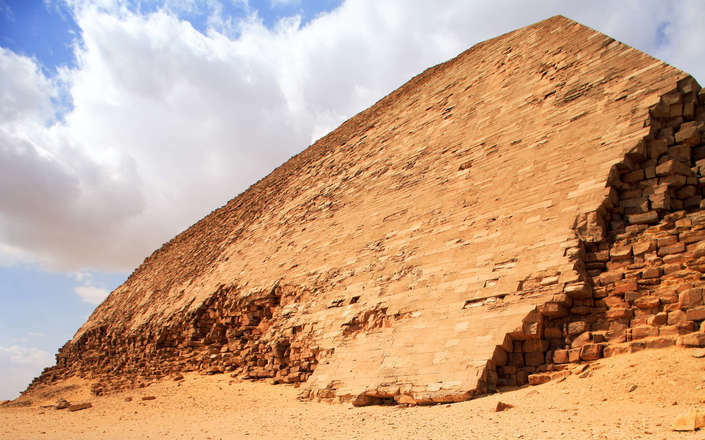 Further west, a visit to the ‘Red’ and ‘Bent’ pyramids of Sneferu at Dashur will take you away from the crowds and further complement the fascinating story of the evolution of pyramid construction. 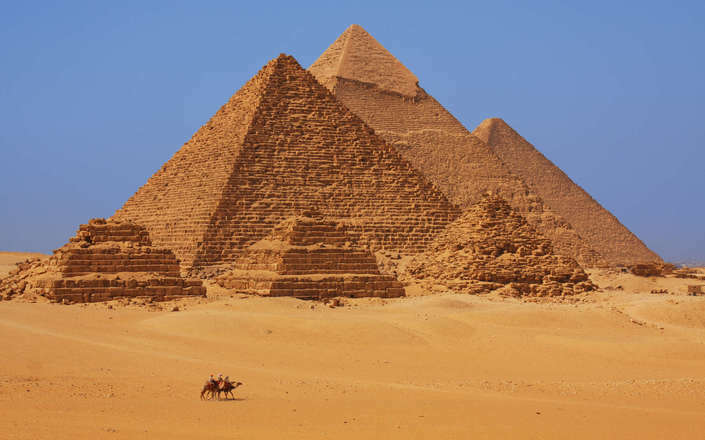 A full day should be allowed to see all three of these pyramid fields. 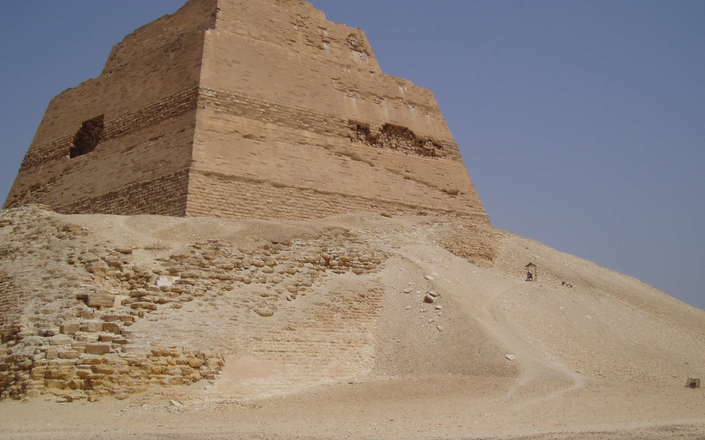 South of Cairo, the Collapsed Pyramid of Huni at Meidum is another photogenic and crowd free site to explore. 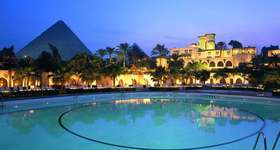 A visit to Medium could be combined as a day excursion to the scenic Fayoum Oasis, and also possibly to the much ruined pyramid of Amenemhet III at Hawara. 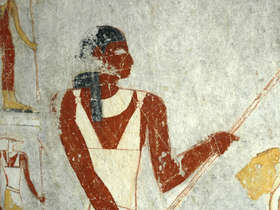 Egypt’s first pyramid complex was designed by Imhotep for the pharaoh Djoser more than 4,600 years ago. 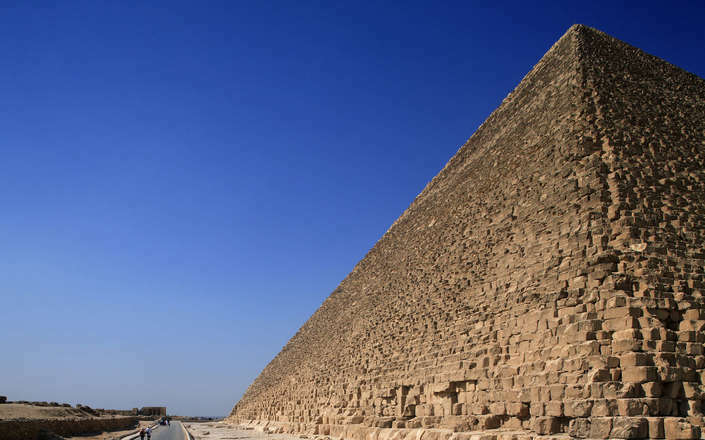 The Great Pyramid of Giza is the largest pyramid ever built and once housed the remains of the pharaoh Khufu. 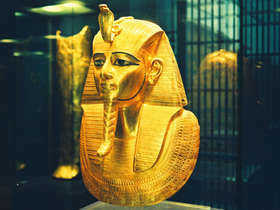 A great monument that has represented Egypt for thousands of years, the Sphinx of Giza is is an incredible sight. 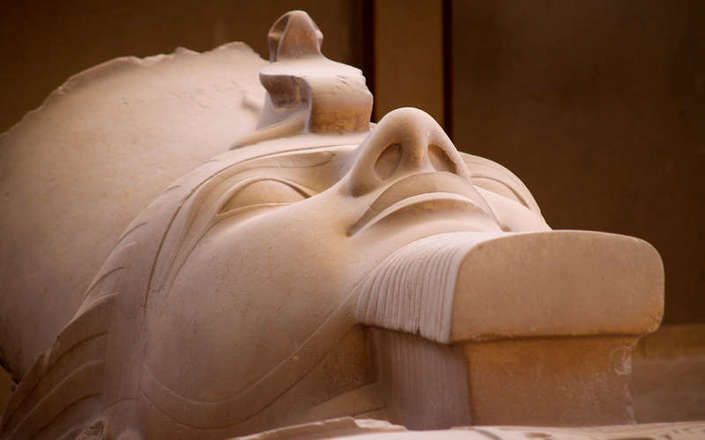 An in depth immersion into Egypt’s 5,000 years of history from Alexandria to Abu Simbel.